Versatile Power, Inc. a technology leader in the design and manufacture of programmable power supplies and custom electronic subsystems announced the BENCH family of 600 watt programmable DC power supplies are in stock and now available for purchase online via the Company’s Website. 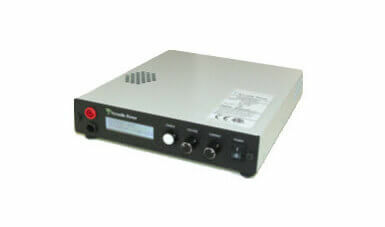 “Versatile Power’s BENCH programmable power supplies provide a perfect solution for a wide range of applications within the high technology arena of R&D, production and testing and are nearly half the cost compared to the industry’s leading producer of power supplies.” commented Jerry Price, CEO of Versatile Power. He continued, “The addition of direct, online purchasing of BENCH programmable power supplies for immediate delivery addresses the demanding needs of engineers looking for stand-alone test instruments, or for integrated subsystems, for medical, semiconductor, ultrasonic, lighting, government, aerospace, military and industrial applications,” Purchases can be made with credit cards or through PayPal accounts. Versatile Power is currently offering six models of these U.S.A.-built supplies with available power output up to 600 Watts. The BENCH programmable power supplies are also available for online purchase from Versatile Power’s nation-wide distributors. Links to the distributors can be found on the Company’s Website.